With macOS High Sierra came some great improvements for the Photos app, Siri, and Safari. 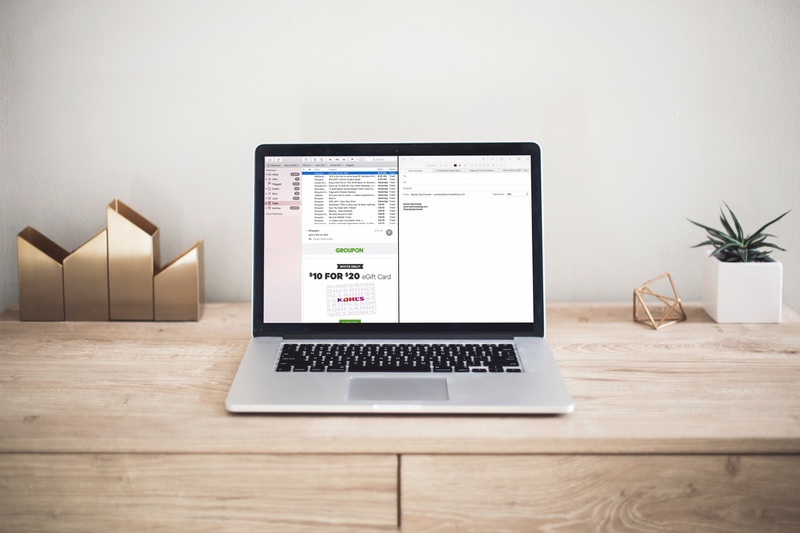 Additional enhancements specifically for the Mail app included compressed storage, Top Hits during searches, and our topic for this tutorial, full-screen split view. The best part about this new feature is that it’s automatically enabled as soon as you put the Mail app into full-screen mode. 1) Click the green button in the top-left of the app to enable full-screen mode. 2) Double-click an email in your inbox, hit the compose button for a new message, or click the reply/forward button on an email. The screen will automatically split with your Mail app on the left and the message on the right. Using this feature lets you compose, reply to, or forward emails while still keeping an eye on incoming messages. It can also help you move between emails you’re reading or comparing and make copying and pasting between messages easier. You can open more than one message at time in full-screen split view. For example, you can compose a new message, open one from your inbox, and reply to one. With each of these actions, a new tab in the split-view window will open. So, it’s just like working with multiple tabs in Safari. When you finish using full-screen split view, just click the green button on the Mail app again. This will return the window to its original size. It will also close any open messages you have in the split view. Not seeing full-screen split view? If for some reason when you follow the steps above, the screen doesn’t split and the email pops up from the bottom of the screen instead, double-check the setting. 1) Open the Mail app and click Mail from the menu. 4) Mark the checkbox for Prefer opening messages in split view when in full screen. You can then close the Preferences box and follow the first set of steps above. 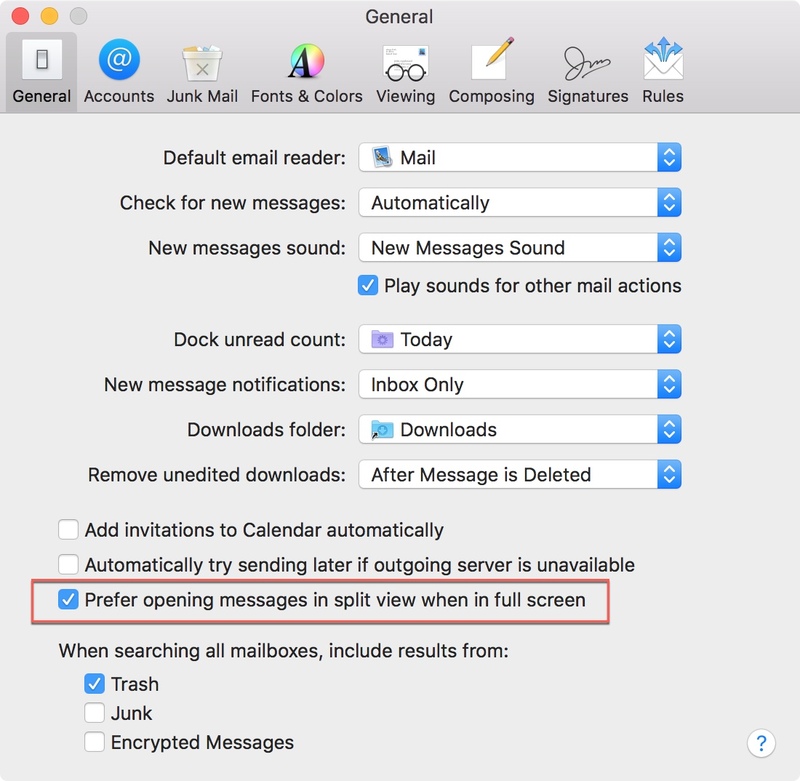 You might also keep this setting in mind if you decide that you don’t want to use full-screen Mail split view down the road. This nifty feature is handy for working with multiple emails at one time. But, it’s not for everyone. Have you tried it yet? Let us know if you have and what you think of it!